On June 12, 2018, the Pennsylvania Department of Labor and Industry submitted a proposed rule change that would alter the salary test for exempt executive, administrative, and professional employees. 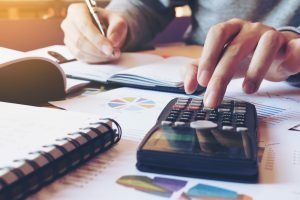 Significantly, while the salary test under the federal FLSA is still in a state of flux, states are free to make their own adjustments to their respective white-collar exemption salary tests. If it is made effective, the salary test for exempt professionals, executives, and administrative employees in Pennsylvania will increase from $250 a week to $610 a week. This equates to $31,700 annually. The following year, it would increase to $766 a week, and two years after the rule becomes effective it would go up to $921 a week. Pennsylvania’s proposal may lead to other states initiating similar salary adjustments, even if the federal Department of Labor does not. To learn more about Pennsylvania’s salary proposal, listen to this week’s Telebrief here. Also in this week’s Telebrief: Some states and the federal government are certainly showing much more scrutiny to the enforcement of non-compete agreements. Also, the Third Circuit ruled that requesting disability leave for an indefinite period is not a reasonable accommodation; and the EEOC recently filed 7 lawsuits alleging workplace harassment against different companies, certainly signaling increasing scrutiny of workplace harassment in the workforce. Questions about state salary adjustments or other topics from this week’s Telebrief? Contact Howard Kurman at hkurman@offitkurman.com or 410-209-6417. The Telebriefs® are 30-minute, information-packed phone calls geared towards executives, HR directors, supervisors, managers, and business owners. Join Howard K. Kurman, as he discusses employment law developments occurring over the past two weeks that will most significantly impact employers nationwide. These twice-monthly phone calls are an easy way to stay current and compliant with the latest employment law developments that will significantly affect you and your company. The goal is to provide information and insights to help executives stay current with the latest workplace law developments and in front of trends, to enable proactive policy-making and management. Our guarantee: You will learn something useful on every call! If you have any problems registering for a pin, please contact Shaylah Koontz at skoontz@offitkurman.com. Howard K. Kurman is an employment attorney. 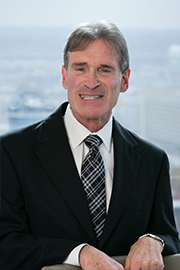 Mr. Kurman regularly counsels clients on all aspects of proactive employment/labor issues. He represents employers ranging in size from as small as 20 employees to those employers with geographically disparate locations consisting of over 4,000 employees. Mr. Kurman assures, through regular contact with his clients, that they promulgate and maintain the most effective employment policies that will, to the extent possible, minimize their legal exposure in today’s litigious workplace. Mr. Kurman offers advice on employee handbooks, employment agreements, and covenants not to compete as well as confidentiality and non-disclosure agreements. Previously, Mr. Kurman was the chair of the firm’s Labor & Employment Practice Group.